Have the same advantages as the Pro Ladies, with the SST 8 Pro. Interchange both the sliding soles and the traction soles to give you the most precise slide to fit your game. Never worry about the approach again. Slide and switch until you get the perfect feel. 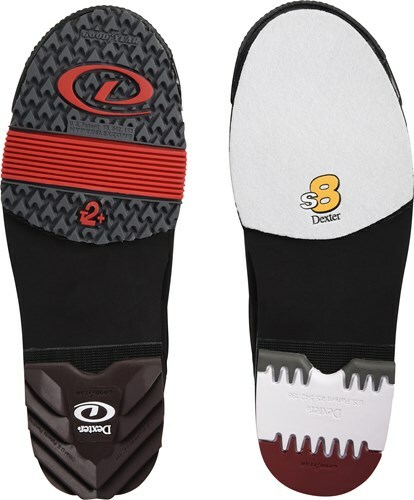 On shoe (removable): S8 Slide, H5 Saw Tooth Heel, T2+ Traction, H2 Ultra Brakz. Yes, this is a womens shoe. Yes, this is an interchangeable shoe for both right and left handed bowlers. Is there only 1 interchangeable slide that comes with it or is it a pack of different ones? On shoe (removable): S8 Slide, H5 Saw Tooth Heel, T2+ Traction, H2 Ultra Brakz.. It will only come with the soles and heels on the shoes. 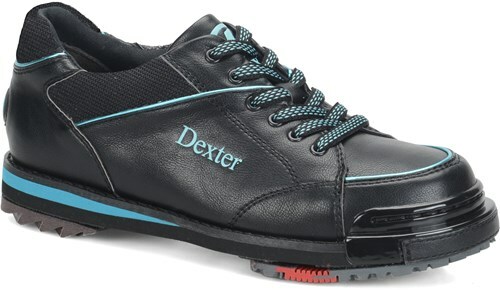 Due to the time it takes to produce the Dexter Womens SST 8 Pro Black/Turquoise Right Hand or Left Hand ball it will ship in immediately. We cannot ship this ball outside the United States.